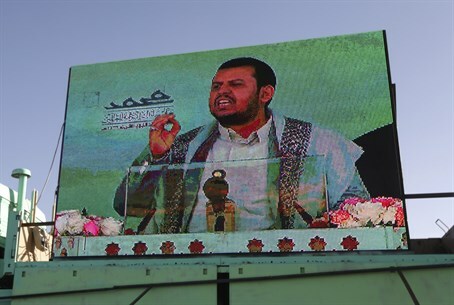 The leader of Yemen's Houthi rebels vowed not to back down on Sunday as a top Saudi military official claimed weeks of airstrikes had significantly weakened the Shiite group. "Our fighters will not evacuate from the main cities or the government institutions," rebel leader Abdul-Malik al-Houthi said in a televised address, according to CNN. "Anyone who thinks we will surrender is dreaming," he declared. Al-Houthi’s comments came after more than three weeks of Saudi-led coalition bombings aimed at pushing back the Houthis, who surged into the capital of Sanaa in January and ousted President Abdu Rabu Mansour Hadi from power. Since mid-March, more than 700 people have been killed in violence that shows no sign of slowing, according to figures from the World Health Organization. "It's the right of the Yemeni people to stand against the attacks in all possible means as long as the attacks continue," Al-Houthi was quoted by CNN as saying Sunday. "After our people move and react against the attacks and killing of children and women, we do not want to hear any voices and cries," he continued. Saudi Arabian airstrikes have had some effect in blunting the offensive by the Iranian-backed Houthis, who most recently seized control of the strategic port city of Aden, but they are far from defeated and still remain the strongest force on the ground. Saudi Brig. Gen. Ahmed Asiri said Sunday that airstrikes had decimated the Houthis' central command by targeting their communications. The rebels are now holding a defensive stance in besieged areas, he said, according to CNN.